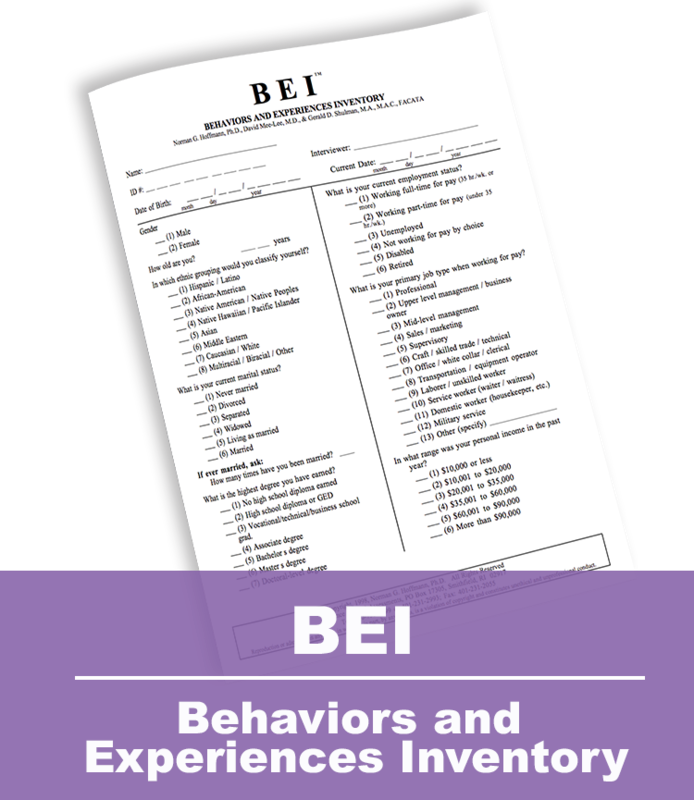 The BEI is a brief screening tool designed for the identification of commonly occurring disorders found in addiction treatment and correctional populations. 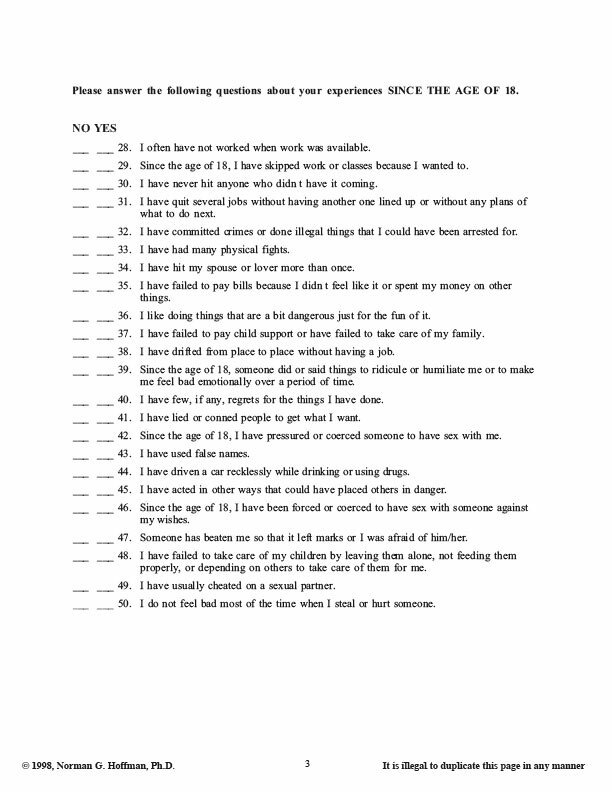 The questionnaire covers adolescent and adult history of physical, sexual and emotional victimization and behavioral problems. 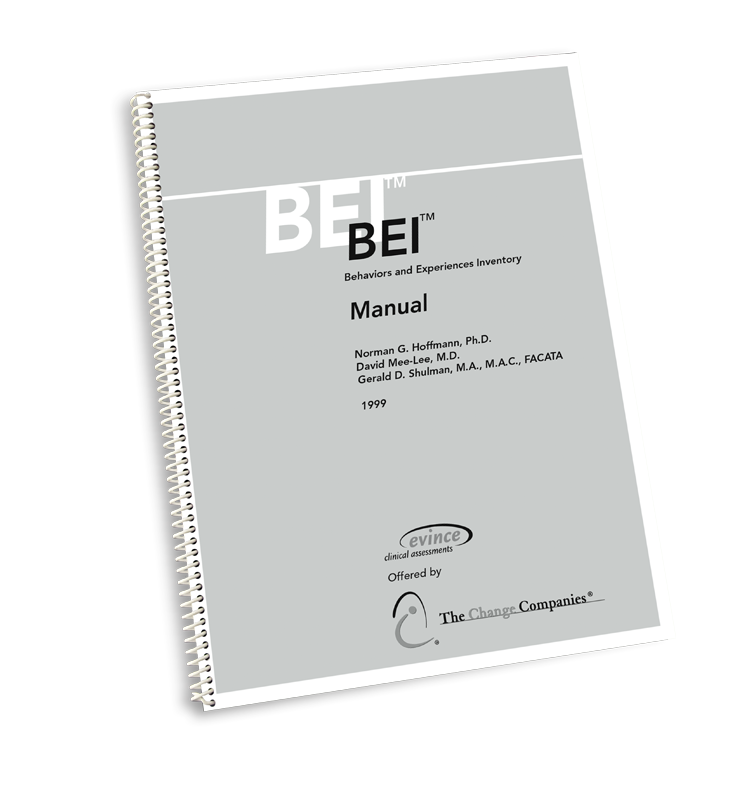 The BEI's internal reliability ranges from .74 for ADHD to .82 for conduct disorder. Completion time for respondents is typically 15-20 minutes. Instrument scoring can be completed in about five minutes. Ideal for identifying behavioral tendencies likely to be disruptive in group treatment settings. Helpful in working with individuals involved in drug courts or correctional programs. Useful in identifying individuals who may have residual PTSD symptoms from traumatic backgrounds. 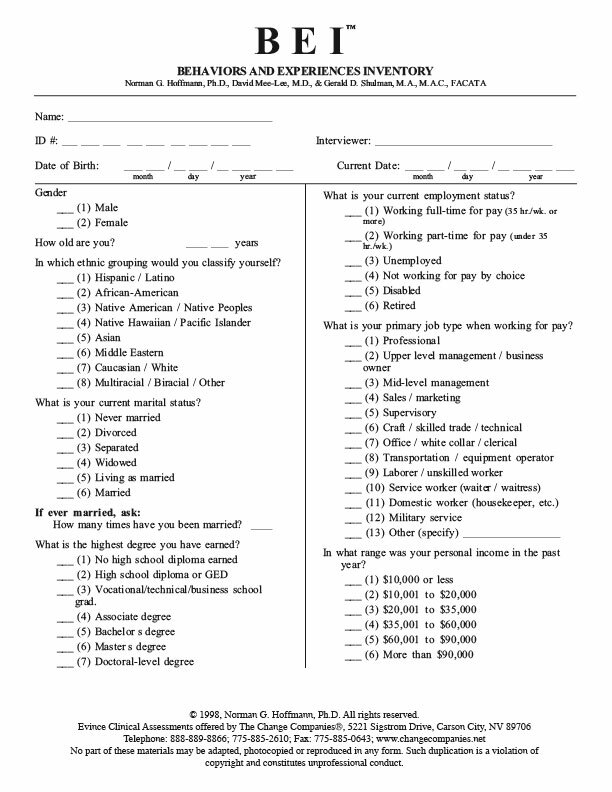 Designed to be a self-administered screen or brief, structured interview. Provides indications of attention-deficit hyperactivity disorder (ADHD). Documents history of conduct disorder behaviors as an adolescent and antisocial personality disorder symptoms as an adult.